Tortoise & Hare Teach Tempo & More! I wrote a song about the Tortoise and the Hare to teach about musical tempo, and to help children think about story structure and characters. You can find a sample and download of my song at Songs for Teaching or CDBaby. The lyrics are below. It’s a simple 3-chord song in C; I usually play it on the ukulele. Credit my CD producer Eric Kilburn at Wellspring Sound for all the extra instrument parts on the recording. He adores playing his vintage banjo-lin, which plunks along with a slightly goofy sound. When I sing this song in the classroom, I focus on learning about the opposites, fast and slow. I also introduce tempo, the speed or pace of a piece. Sometimes music goes slowly like the tortoise, and sometimes it moves rapidly like the hare. We do the song first as a movement activity. 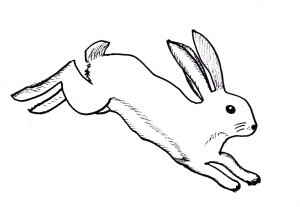 I invite the children to get up and move slowly like a tortoise and then hop quickly like the hare. The children play both parts at the beginning, but around the “nap” part of the song, they usually decide which part they want to play – the hares take a nap while the tortoises keep moving slowly around the room until they win. Hooray! We repeat the song sitting down. I use percussion instruments such as shakers and rhythm sticks. I ask children to join me in playing the different tempos in this song. Sometimes I divide the kids into two groups; the tortoise group plays shaker eggs during the “tortoise” parts of the song, the hare group plays rhythm sticks during the hare parts. Everyone can play during the parts that involve both tortoise and hare. To have more fun with the story, you could have children make stick puppets and create their own puppet show, telling the story in their own words or perhaps singing parts of the song. 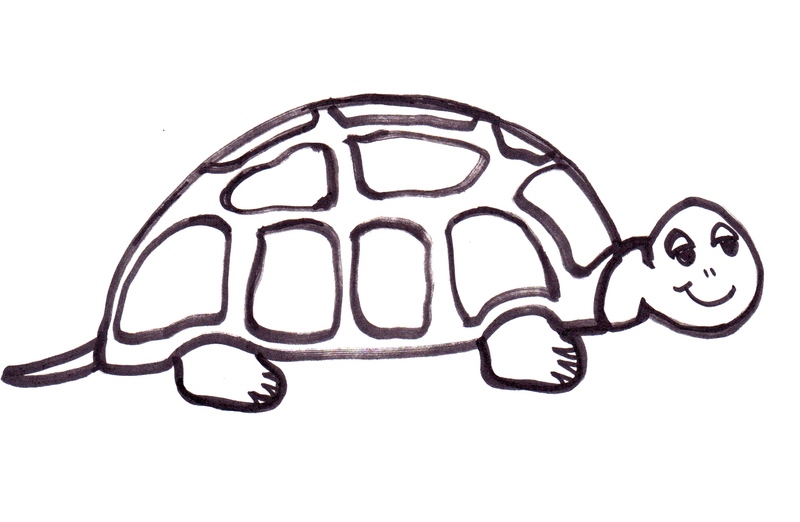 Fables, of course, have a “moral.” In the case of this story, “Slow and steady wins the race.” Ask children which character they like best, and why the tortoise won the race and the hare lost, even though he was faster. It’s a nice lesson: sometimes the outcome isn’t what you expect. The one everyone thinks is so “slow” can still win! All day long, watch the tortoise go, plodding along, his steps so slow. And all day long, the hare goes fast! Watch as he goes hopping past, watch as he goes hopping past. Tortoise, so slow, oh, so slow. Hare, so fast! Zip, zip fast. Hare, so fast! Zip, zip fast. So says the hare, “How ‘bout a race? ‘Cause I know I will win first place. Watch that hare go, go, go! Watch that hare, hopping fast! Here comes tortoise, oh so slow. Tortoise, he will come in last. Tortoise, so slow. Oh, so slow. Hare, so fast! Zip zip fast. Hare, so fast! Zip zip fast. So I think I will take a nap. So the hare lies down and soon lets out a snore. Then along comes tortoise at a steady pace. Always slow, but still in the race. And crosses the finish line before the hare! 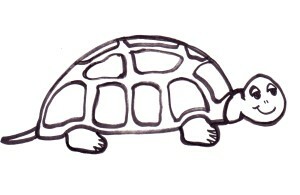 Give steady tortoise a great big cheer! ‘Cause slow and steady won the race. Yes, tortoise kept going and got FIRST PLACE! One Response to Tortoise & Hare Teach Tempo & More!